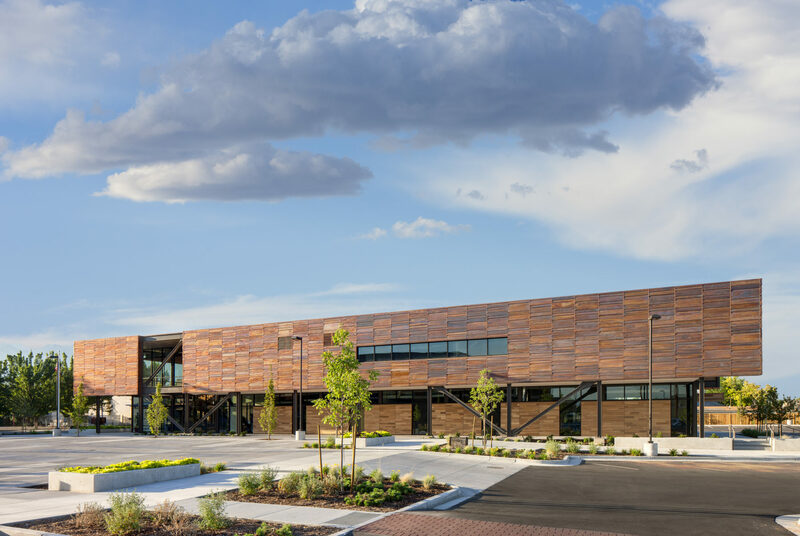 Designed to promote active aging, the Midvale Senior Center provides a new model in the design of senior centers. 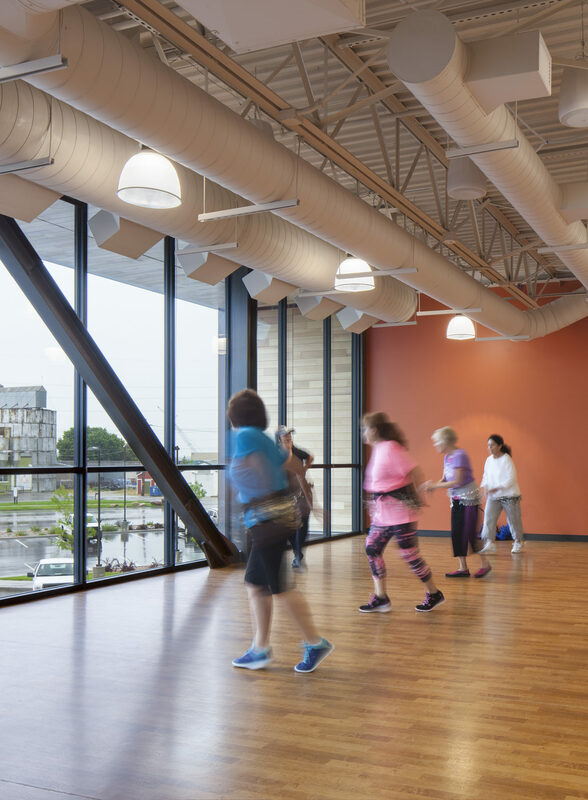 Drawing on hospitality and active recreation design, EDA’s team of architects created a LEED-Gold certified space that responds to the evolving needs of a new generation of seniors, while positively contributing to the community’s development. Built on Main Street, the senior center also serves to anchor Midvale’s historic downtown. Reflecting the town’s historical and environmental context, the steel structure and steel and copper sheathing reference the history of mining in the area. 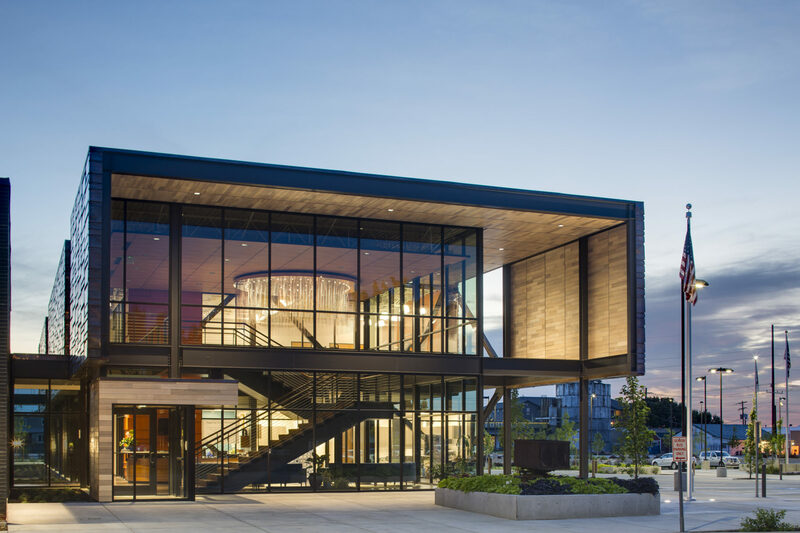 In its form, use of materials, and siloed staircase that references nearby historic buildings, the Midvale Senior Center dramatically reinforces a specific and local sense of place. 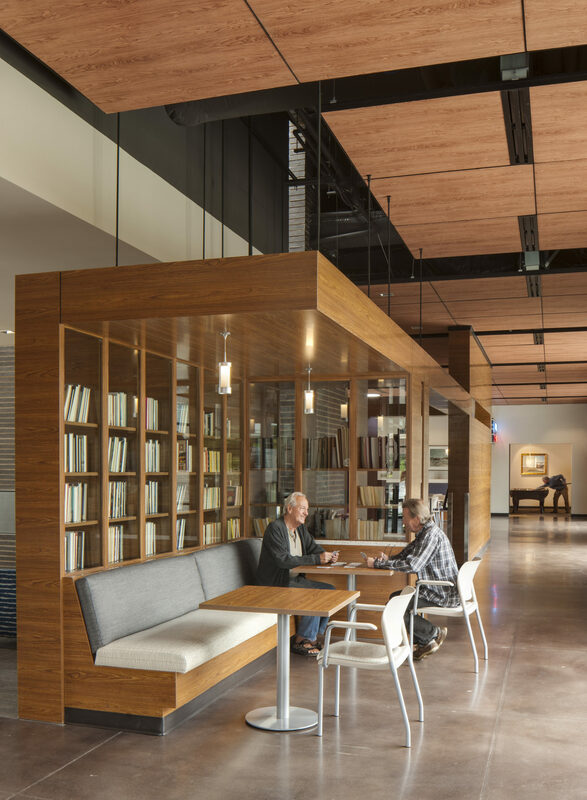 Beyond its boundaries, the building actively engages Midvale’s Main Street, contributing to a renewed vision for a vibrant and walkable downtown. Instead of pulling back from the street edge to allow room for parking or deep landscape buffers, the building activates the sidewalk directly. The main entrance and the center’s café open onto sidewalk, creating a more dynamic walking experience and encouraging more development of the same kind.